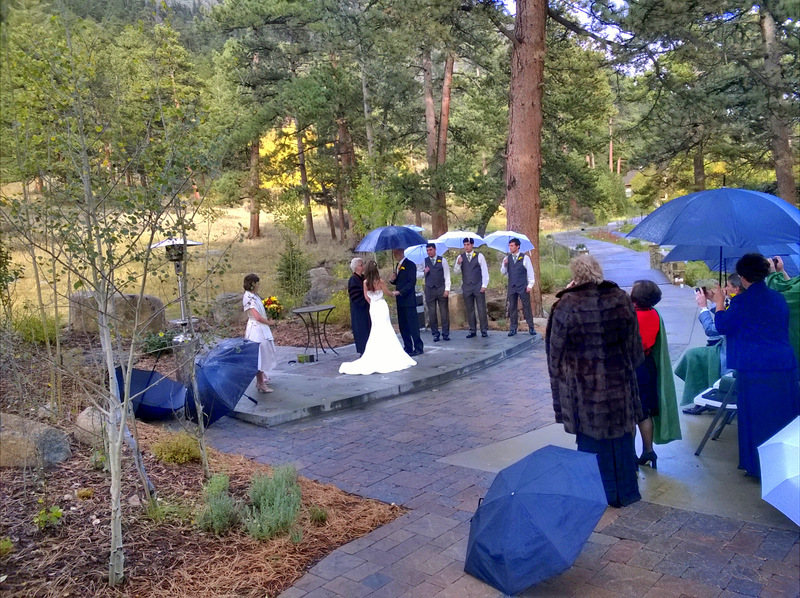 Our flute and guitar duo recently played for a beautiful October wedding ceremony at the YMCA of the Rockies in Estes Park, Colorado. It was an absolutely gorgeous morning with gusty winds that challenged our ability to secure our sheet music and supplies. 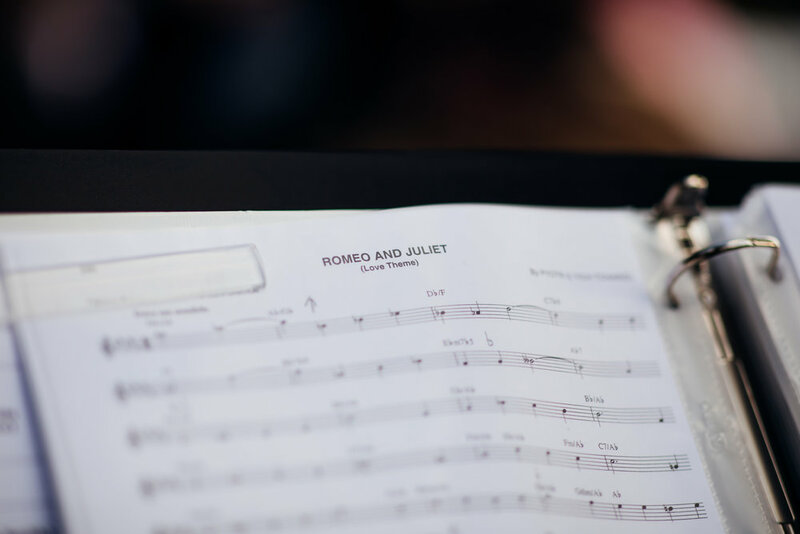 However, with many clips for our music and heavy rocks to hold down our music stands, we kept everything secure for the duration of our performance. By keeping the wind directly to my back, I was also able to get a good sound out of my flute. 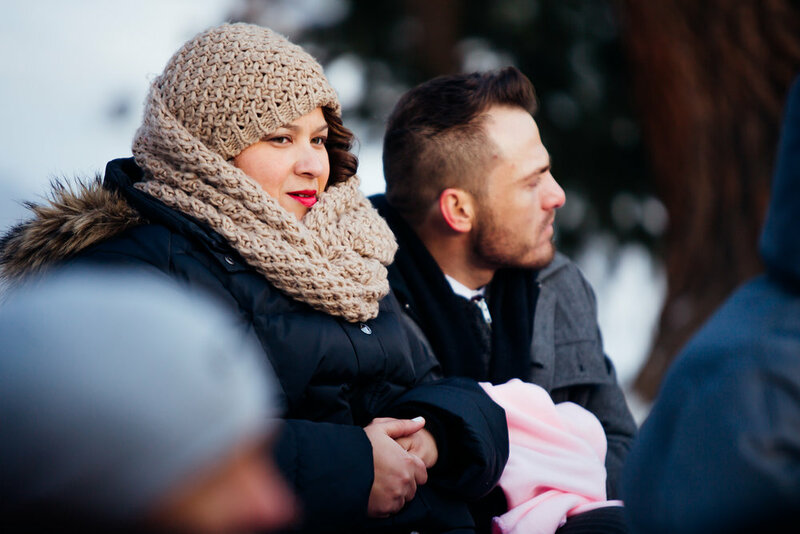 The ceremony was held outdoors at the Sara Smith Chapel which was a lovely location with a wild Colorado mountain feel. We played classical prelude music that the bride let us select and then a classical processional that I helped the bride select. During the ceremony, a small choir sang an incredible version of "Be Thou My Vision" and I felt honored to hear their talented performance in such an amazing setting. They sang this while the couple performed a foot washing ceremony, symbolizing the the servant-hood of marriage in comparison to Christ and the church. Then, because both the bride and groom are scientists, they did a small science experiment that they made up to represent marriage and the blending of two lives together. While they did that, we played Simple Gifts.